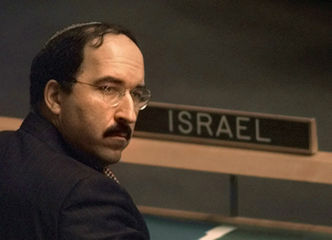 Ambassador Dore Gold is President of the Jerusalem Center for Public Affairs. He was the eleventh Permanent Representative of Israel to the United Nations (1997-1999). Previously he served as Foreign Policy Advisor to the former Prime Minister of Israel, Benjamin Netanyahu. He has served as an advisor to Prime Minister Ariel Sharon, who asked him to accompany his entourage to Washington and the 2003 Aqaba Summit with President George W. Bush. Ambassador Gold was a member of the Israeli delegation at the 1998 Wye River negotiations between Israel and the PLO, outside of Washington. He negotiated the Note for the Record, which supplemented the 1997 Hebron Protocol, and in 1996 concluded the negotiations with the U.S., Lebanon, Syria, and France for the creation of the Monitoring Group for Southern Lebanon. In 1991, he served as an advisor to the Israeli delegation to the Madrid Peace Conference. From 1985 to 1996 he was a senior research associate at the Jaffee Center for Strategic Studies, Tel Aviv University, where he was Director of the U.S. Foreign and Defense Policy Project. Dr. Gold received his BA ('75), MA ('76), and PhD ('84) from Columbia University. Ambassador Gold has written numerous books and articles on the Middle East, including U.S. Military Strategy in the Middle East (Tel Aviv: Ministry of Defense Publications, 1993), Hatred's Kingdom: How Saudi Arabia Supports the New Global Terrorism (Washington: Regnery, 2003), Tower of Babble: How the United Nations Has Fueled Global Chaos (NY: Crown Forum, 2004), The Fight for Jerusalem: Radical Islam, the West, and the Future of the Holy City (Regnery, 2007) and The Rise of Nuclear Iran: How Tehran Defies the West (Regnery, 2009). His articles have appeared in Asahi Shinbun, Commentary, Daily Telegraph, Die Zeit, Ha'aretz, Jerusalem Post, New York Times, Washington Post, and Wall Street Journal. He lives in Jerusalem with his wife, Ofra, and their two children. Did Israel Use "Disproportionate Force" In Gaza? Towards Annapolis: Is U.S. Policy Changing on Israel’s Rights in a Peace Settlement? Where is the Issue of Education for Peace in the Olmert-Rice-Abbas Initiative?